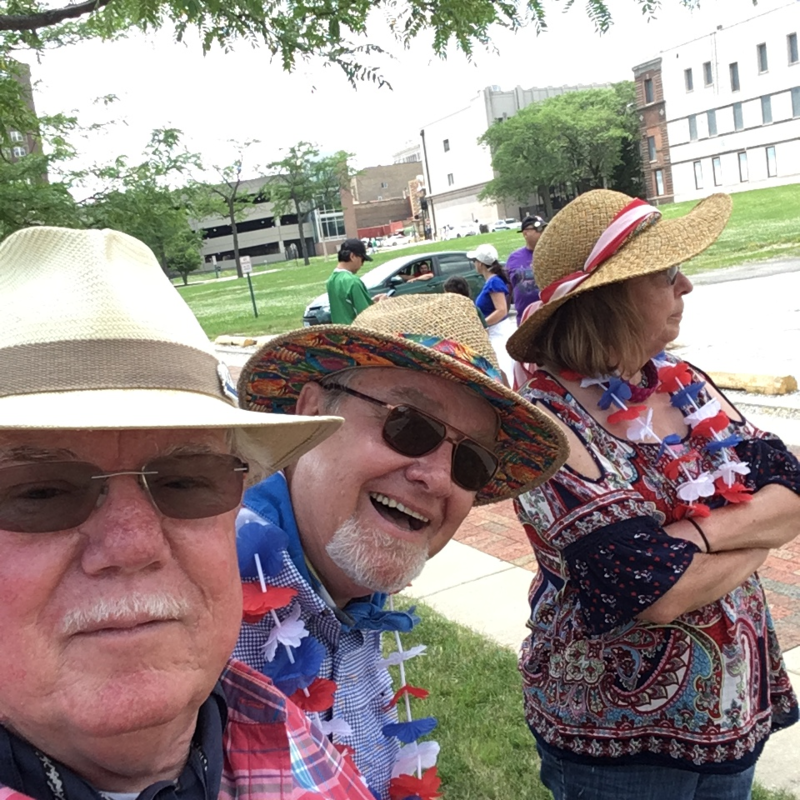 The Rotary Club of Waukegan participated in the 2018 Waukegan Park District Independence Day Parade on Sunday, July 1, 2018. 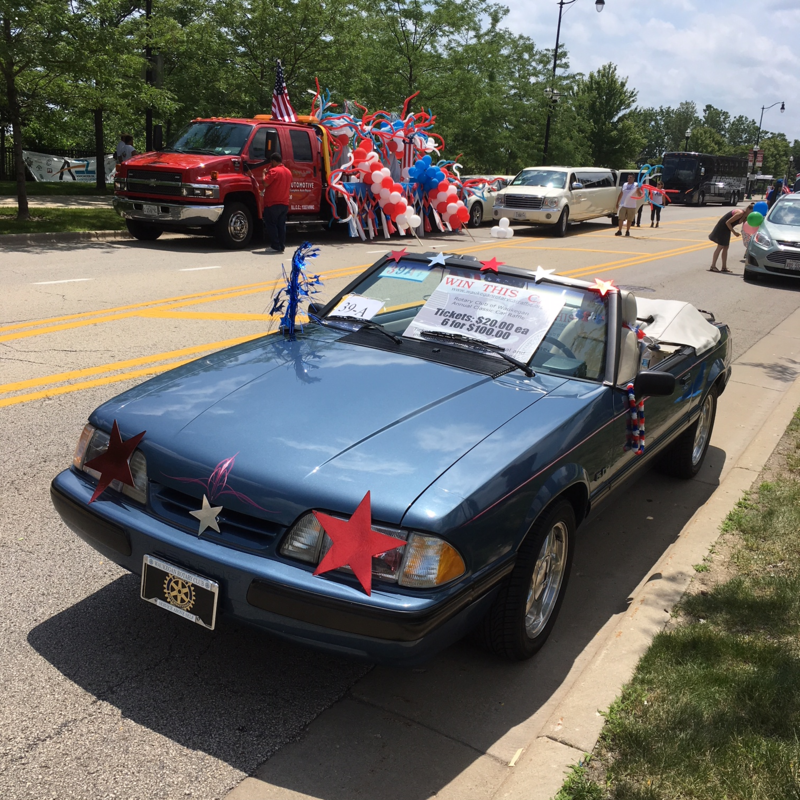 Under a blue sky but, extremely hot and humid conditions the 1989 Mustang Raffle Car was presented to an admiring public while being driven as parade entry 39A. Mustang Wranglers Ted Stanulis and Al Oller served as a driver(s) and Pat Stanulis served as the head wrangler and official sign holder. 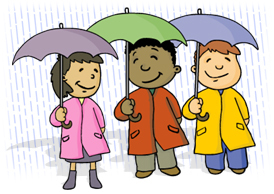 This small band of merry club members had a great time and got home just before the rain fell. Story and photos provided by Al Oller.